The first of the Wolf Chronicles, an ongoing saga about the somewhat heroic adventures of Wolfgang Amadeus Robinson, Wolf to most people, whose exploits in space probably exceeded the imagination of most people. 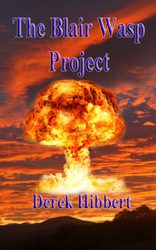 When his rather expensive camera is destroyed by alien weapons fire on a secluded plateau in Spain Wolf is stunned. Only when his picks up a shiny metal gauntlet and retaliates his life changes out of all recognition. To get you free copy simply e-mail a request to me at paperback-writer@hotmail.co.uk or click on image. 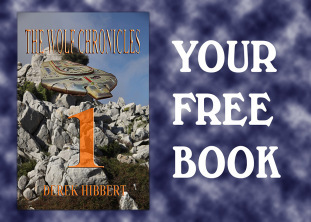 More detail is available by going to the Sci Fi page and clicking on the Wolf Chronicles button in the menu box. 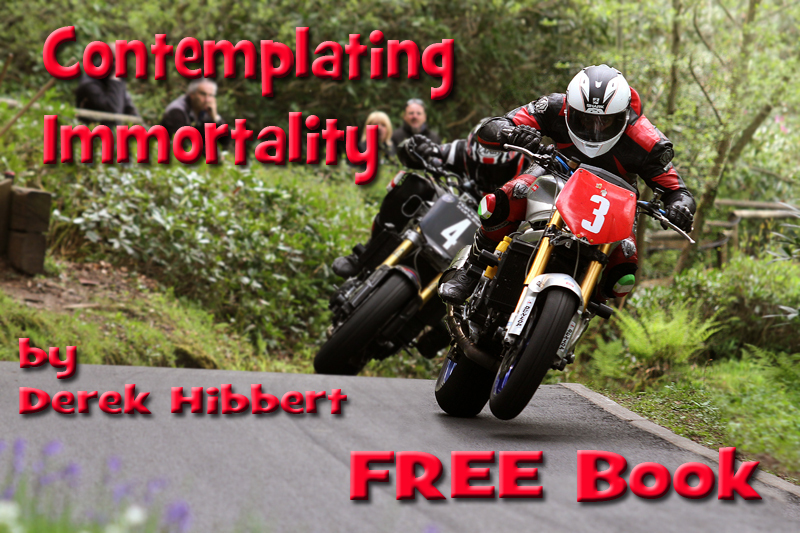 Contemplating Immortality is supernatural horror novel, the start of the Jack Hawkins saga. The less said about the Blair Wasp Project the better. I have heard it said that some people are born evil while others struggle to attain the state. I will leave you to decide how many people you know who fall into the first category. Serious problems arise when these people are in a position of power, I can think of a couple on the African continent who have virtually made tyranny into an art form. Only you dont need to have a name like Pol Pot to stand out from a crowd. Only this is about a single man who was given the opportunity to stride further than the boundaries of our own planet. Just think, the first human to visit another planet, incredible. Only the impression he created was not one to put a smile on alien faces. In fact it wasnt long before they had trouble deciding who they needed to fear the most, Blair or the Devil himself.